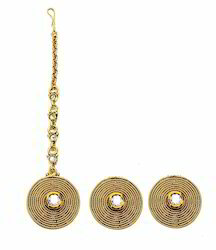 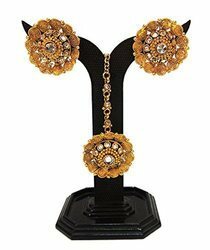 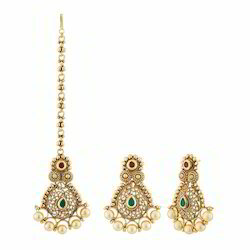 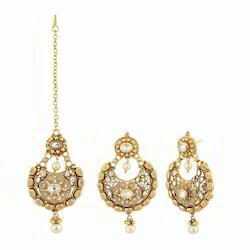 These designer chand bali earrings and matching half matha patti tikka, beautifully & Gold Plated Finishing. 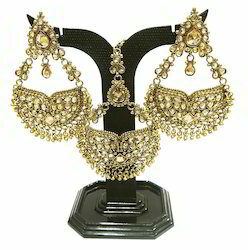 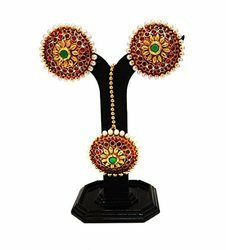 Bridal wear Earring Tikka. 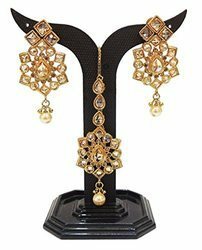 Gold Plated Chandwali Designer Traditional Earring with Pear & Beautiful Maang Tikka beautiful design copper base material for modern women jewellery. 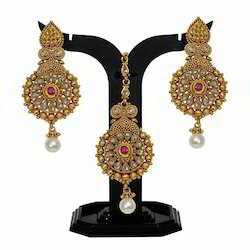 Gold Plated Pearl & Pink Ruby Traditional Earring with & Party Wear Beautiful Maang Tikka beautiful design copper base material for modern women jewellery. 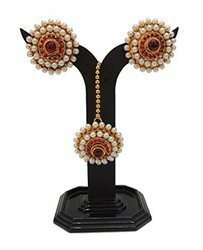 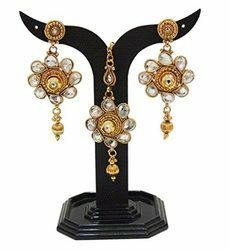 Gold Plated White Stone & Kundan Traditional Earring with & Party Wear Beautiful Maang Tikka beautiful design copper base material for modern women jewellery.